Even with all the advances in technology, print is still a vital part of the way businesses communicate both internally and externally; yet, it’s becoming increasingly complex and costly to manage. 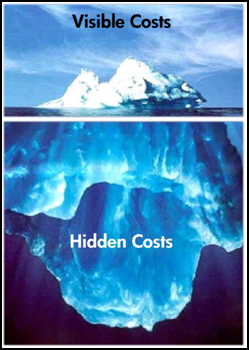 It’s one of the largest unchecked and unmonitored expenses found in any organization. Businesses have now realized the need to focus on actively managing their print environment as a means to control costs and enhance operational efficiencies. With the SOS PrintVantage Managed Print Services, we offer our expertise to help you improve the performance of your print environment here in Atlanta and across the country. Through PrintVantage we will collect and analyze data for all your Copiers and Multifunction Printers to understand total costs, as well as establish baseline values and industry benchmarking. We will determine complete cost, volume, performance, and utilization data at each device for future right sizing. With this data, we will continue to make the best choice when selecting strategies to optimize your current and future environment. We will continue to provide a true picture of costs, eliminate effort in subsequent steps when choosing the correct strategy on an ongoing basis, significantly reducing costs year over year. We will continue to monitor and report on accurate user behavior with the implementation of rules based printing. Addressing print management issues requires more than just an understanding of how much volume each printer is handling. Developing strategies that work requires information on the workflow associated with all printing in your organization. PrintVantage lets you see who’s printing, what documents are being printed, when, where and how they are printed. PrintVantage tracks over 35 pieces of information on every print job. Automatically allocate all printing costs to users, clients or departments. Redirect jobs from high-cost to low-cost devices, create rules to control color usage, duplex printing and more. Store print jobs on a virtual print queue and release them with a passcode, proximity card or using a your mobile device ensuring regulatory compliance. Automatically notifies you of issues, such as running low on toner. Track service and maintenance history. Create reports that identifies who is printing the most and to what device, what files are being printed and more. Through the SOS PrintVantage Managed Print Services, your organization can benefit from a consultative partnership utilizing a technology-based, results-oriented approach. Why not put our consulting experience to work for you? If you’d like to discover the economics of your current printing practices and how much your company could be saving with PrintVantage, let’s visit!